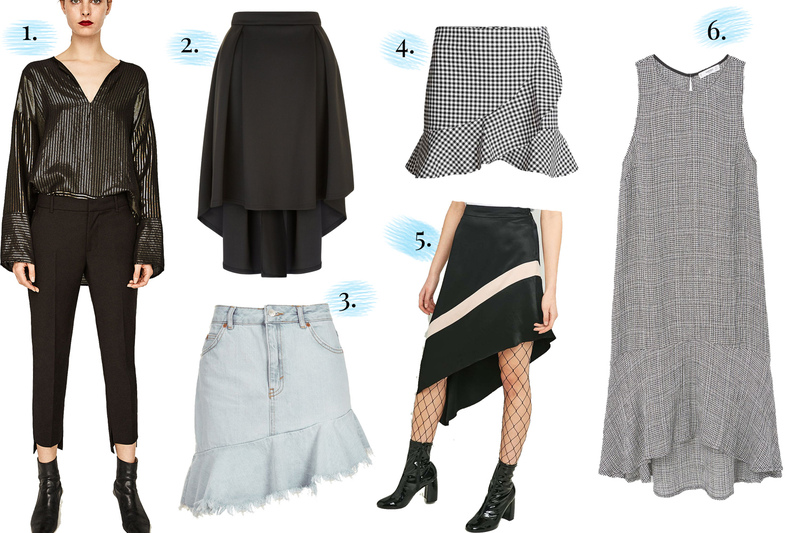 How do you want your skirts this season? One answer; With asymmetric hemlines. There's not much to explain about this trend it's pretty self-explanatory. Basically any skirt with a hem that is not straight. This look was all over the catwalk but I chose the 6 above to show you clearly what you're after. In a nutshell these are the main features to look out for; a hemline skewed to one side, a hemline with a point in the middle or at the sides or a hemline that is raised in some areas. 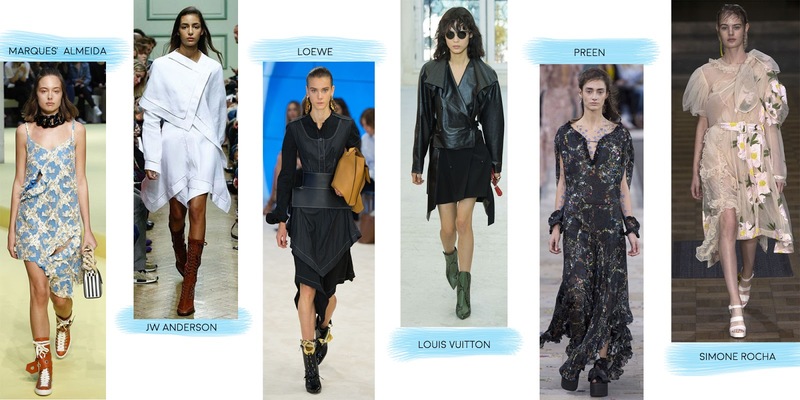 It was easy to spot this trend on the catwalk and it is as easy to find it in shops. Here are 6 pieces from 6 different high street brands. One of the pieces is indeed a pair of trousers. If you're not a skirt fan, you should know that this feature is seen on trousers and jeans too.